REVENUE PILOT, INC. is a leading provider of PPC (Pay-Per-Click) search engine marketing solutions that help businesses connect with consumers who are seeking their products. Our mission is to provide advertisers with the highest return on their marketing dollar and enable distribution partners to achieve higher revenues. With a worldwide client-base, superior infrastructure and first class customer service, RevenuePilot is committed to maintaining its leadership position in the ever-expanding PPC Market. The preferred advertising model has decidedly shifted to Pay-For-Performance, spurring the creation of the Pay Per Click (PPC) search market. The PPC market has emerged as a viable and a more effective alternate method for advertisers to get to their consumers via the web. Advertisers are involved in a bidding process where they specify the per-click fee they are charged for preferred placement of their search listings on a PPC search engine. The Web sites offering the highest bid for particular keywords and key phrases appear first on the list of search results. This cost-effective, pay-for-performance model creates an efficient advertising market that enables advertisers to pay only for those select customers who click through and land on their sites. Since the unbridled growth of the dot-com frenzy, which peaked and reversed its trend in January 2000, no Internet sector showed as much promise and tangible positive results as the PPC search market. When it comes to offering companies the highest return on their advertising dollar, PPC search is definitely a marketing outlet contender to be reckoned with. With internet becoming a major place for online shopping, marketers are increasingly using the Internet to reach millions of consumers. The unique advantages inherent in PPC search is the advertiser’s ability to reach interested consumers who are actively searching for specific products and services. This enables advertisers to reach consumers in a most cost-effective manner and increase their return on investment (ROI). PPC search has also been found to be a much more effective advertising method than traditional banner and pop-outs. PPC search marketing, marked by rising advertiser adoption, technological advancement, and incredible growth potential, has quickly claimed a leading position within the online advertising industry, becoming one of the hottest online advertising sectors. While it is difficult to pinpoint the exact size of the paid search market, there is a general professional consensus that dubs the industry as a major growth market. According to Salomon Smith Barney, Internet search and related services is estimated to be $2.6 billion in 2004, with an annual growth rate of over 20 percent through 2008. According to U.S. Bancorp Piper Jaffray’s Senior Analyst, Safa Rashtchy, the paid search market will reach nearly $7 billion in worldwide revenues by 2007, growing at a compounded annual rate of 35 percent. As more online advertisers are turning to performance-based advertising solutions to fulfill their Internet marketing objectives, PPC search is quickly growing as the marketing solution of choice. RevenuePilot is experiencing tremendous growth and success that it credits to its highly talented and enthusiastic staff. We have a diverse team handling various projects, overcoming new challenges and delivering outstanding results in the highly entrepreneurial atmosphere in which RevenuePilot is run. We are constantly seeking new talent to help us accomplish our strategic goals. Our goal is to grow and add value to our company by hiring highly- motivated individuals with exceptional talent in the areas of sales, marketing, business development, product development and support (Java, C++, Perl, etc), and project management. 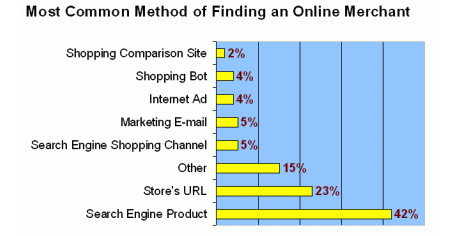 RevenuePilot is one of the leading online Pay-Per-Click (PPC) networks. We distribute our results to thousands of search enabled sites across the Internet, generating hundreds of millions of searches per month and are constantly growing our distribution network. If you advertise on any major PPC search engine, we most probably distribute your results. 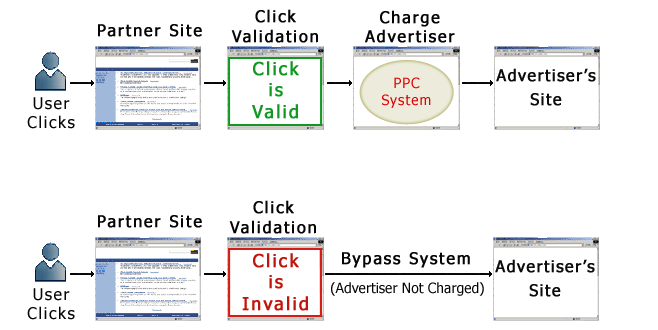 As the leading online PPC network our main concern is the prevention of Click Fraud. This section of our site was created to help you as an advertiser better understand our efforts to prevent and eradicate all possible forms of Click Fraud across our network. Click Fraud occurs when an advertiser receives invalid clicks on paid listings by a competitor or a private individual who has no intention of using the advertiser’s services. Click Fraud may occur from competing advertisers or simply individuals who want to profit from the click’s revenue share at your ad budget’s expense. Such action on the user’s part triggers our system to render the click invalid. When a user visits any of our partner sites, the user cannot simply click repeatedly on the same keyword and accumulate chargeable clicks. Our system reviews all user activity and utilizes elaborate proprietary filters to monitor and determine the validity of each user click. Take the keyword “casino” for instance. If one was to visit any of our partner sites and click on any of the links to the sites that bid for their position, one will cause that particular keyword’s advertiser to pay for that click. On the other hand, if the user backs out and clicks again on the same link, then the second click will not accrue charges to the client’s account. RevenuePilot monitors closely all clicks across our distribution network to ensure that there is no misuse or abuse of the program. Our Protection System utilizes sophisticated software to analyze all clicks that pass through our system and determine whether they fit a pattern of fraudulent activity intended to artificially drive up the costs of an advertiser. Our proprietary Protection System automatically distinguishes between clicks generated by normal user usage and clicks generated by click spammers and automated robots. As a result, we are able to filter out clicks that are detrimental to advertisers and the advertisers are not charged for the fraudulent clicks. Our Protection System uses search and click data to make based inferences and pattern recognition rules that help us determine the validity of each click. While we never disclose the details of our Protection System due to the nature of our business, the core mechanics involve over 30 algorithms. If our algorithms indicate that a particular click is invalid, our system sends the user directly to the advertiser’s site, bypassing the PPC search engine and the advertiser is not charged for that click. However, we are unable to remove the click from the advertiser’s web logs. In some cases you, the advertiser, might see suspicious clicks in your web logs. Chances are you were never charged for those clicks since our system automatically detected them and rendered them “invalid.” Before contacting your PPC search engine, we encourage you to compare your statistics to their report. In most cases you might notice that the number of clicks in your web logs is greater than that of the PPC search engine report. This discrepancy occurs due to the fact that we have automatically eliminated fraudulent clicks that were directed to your site. Despite our strenuous efforts to detect and prevent fraudulent activity, sometimes fraud does occur. If you believe that you have received fraudulent clicks from a RevenuePilot distribution partner, please immediately send us a detailed e-mail. Here at RevenuePilot fraud is treated as a very serious issue and we are committed to combating it in every way possible.